Anyone that knows me well knows how much I love Estee Lauder. I find the brand to be reliable in quality and although they're not 'budget' you will always get what you pay for with them. 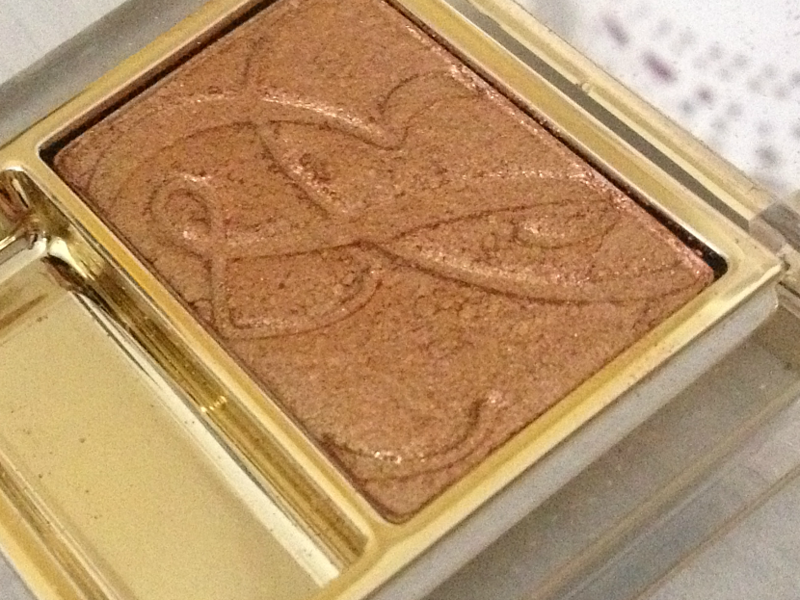 This Estee Lauder Pure Color Singe Eye Shadow in Metallic 'Sizzling Copper' has been in my stash for a while now and I thought it was time to give it a mention. I've been starting to dabble a lot more in eye shadows. I was, once upon a time, only an eyeliner and lipstick girl. I bought this on a whim when I had some spare cash to spend frivolously but rarely used it. Since really starting to get into eye makeup I've rediscovered and fallen in love with it all over again. 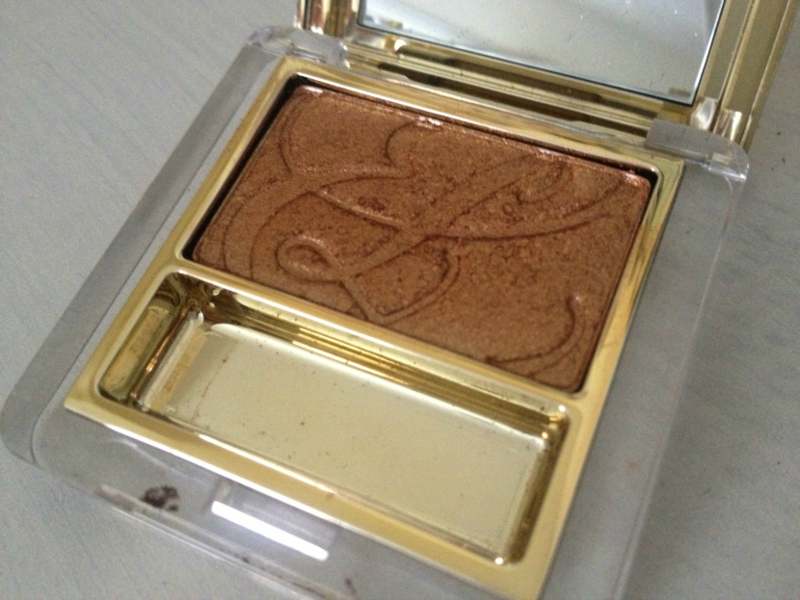 The packaging is classic Estee Lauder Pure Color packaging - gold and compact. It also contains a small mirror in the flip-up lid which is great for when you want to touch up whilst out and about. It did come with a tiny sponge applicator but that's since disappeared (as those little things tend to do over the course of time). It looks utterly luxurious and feels it too. It's also unscented so it's great for the sensitive eye area. The powder is incredibly finely milled - it's so smooth and although it's a shimmer/metallic there aren't any large glitter particles to contend with. It's easy to apply, blends beautifully and the pigmentation is great. The above swatch was done with just one finger swipe. If you want a really intense look it's buildable and creates a really striking effect. Although it's called 'Sizzling Copper' I personally think it has a lot more gold in it than copper. I believe coppers have more brown tones in them but that's just a personal perspective. This looks stunning and the longevity is excellent - without a primer it lasts at least five hours without starting to look worn away and with a primer you're looking at around the nine hour plus mark. I've been wearing this shade a lot recently and am definitely enjoying using it. The one thing about it that is a little bit off-putting is obviously the price point. It is very expensive for a single eye shadow and in hind sight, as much as I love the colour, maybe I should have gone for something a little more 'every day' so that I would get more use out of it. Still, I don't regret buying it because it's utterly beautiful. 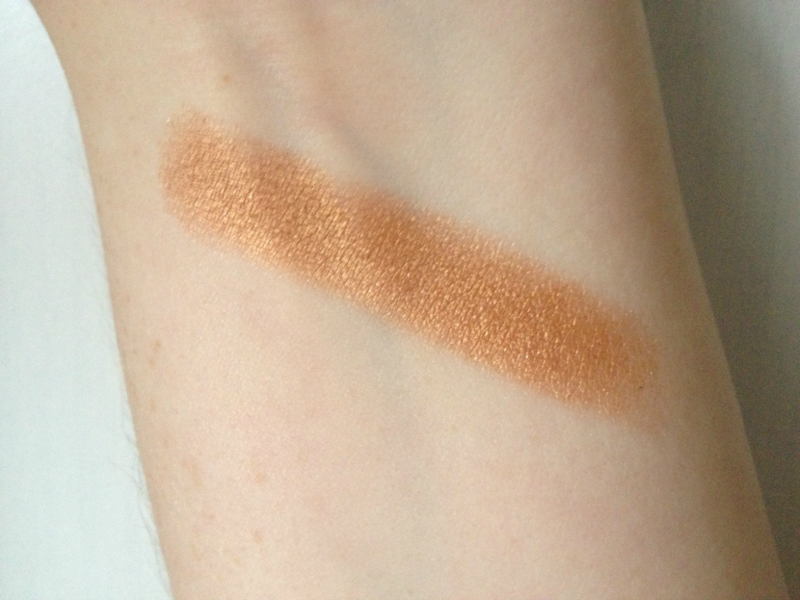 Estee Lauder Pure Color Single Eyeshadow in 52 Metallic 'Sizzling Copper' (RRP £17.00) is available from the Estee Lauder website and Estee Lauder counters. 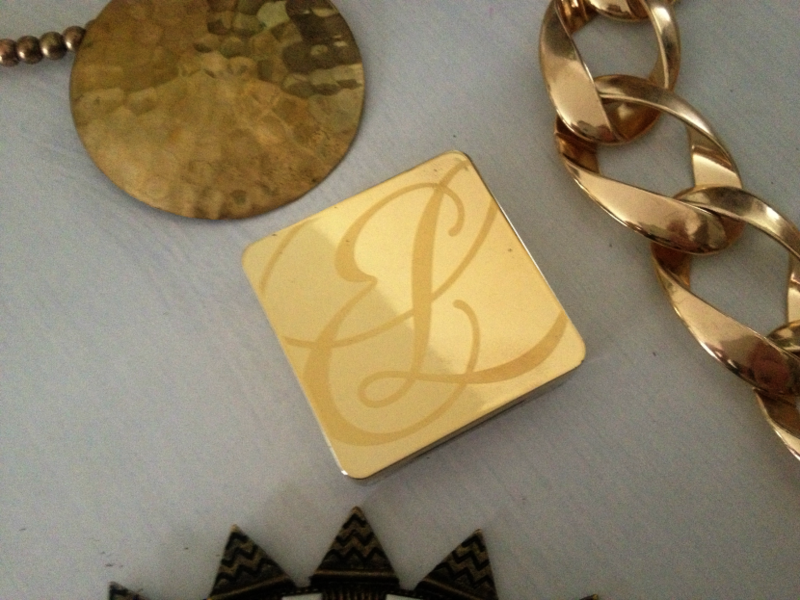 You can follow Estee Lauder on Twitter and Facebook for news, product launches, brand updates and inspiration. If you want to see more of my reviews of Estee Lauder products please check out my Product Directory and look for the products under 'E - Estee Lauder'. This is super nice! I haven't dabbled in Estee Lauder eyeshadows before but I'm seeing more and more reviews on them and its making me want to invest in one. Also the packaging is just beautiful! Absolutely gorgeous! Love the packaging too.